McNamara’s Band is the song played at White Hart Lane London N17 home of Tottenham Hotspur when the teams emerge onto the pitch for the second half of each home game. This tradition goes back many years and whilst the lyrics are not known by the majority of fans the tune is instantly recognisable. 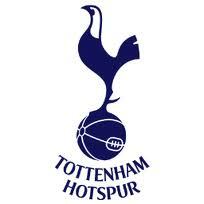 But the famous Tottenham Hotspur are the greatest of them all! 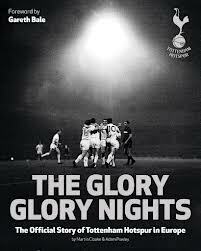 You can hear the tune being played in part one of this excellent BBC Sportsnight review of Spurs 100th anniversary in 1982 which includes interviews with Arthur Rowe and Bill Nicholson. This blog is in support of Tottenham Hotspur and its fans. 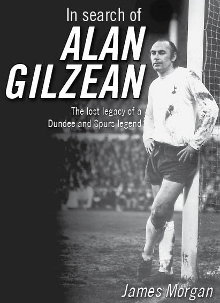 Our debut single, ‘Ghost’, is a homage to John White, the Spurs legend who was killed by lightning in 1964. His story is unique, a great man and a great player in a wonderful team which epitomised our great club’s motto, Audere Est Facere. He was cut down in his prime, aged 27, by a force of nature, and perhaps this was the only way the inside-left could be stopped. The song harks back to the football of another generation, before the age of greed, agents, and when football was a game for the people. where can i get my hands on the instrumental version that was played at WHL in the 60’s ? were can i get the mcnamaras band tune the 1 they play at the lane? No…don’t agree with this post. Been coming to the Lane for probably more years than most and have a bagful of memories, but it’s outlived its usefulness. Everyone’s agreed on the need for a new stadium. Thanks to the local council and assorted ‘interested parties’ coming out the woodwork, costs of redeveloping the Lane have spiralled beyond control. And just a few miles away is a brand new state-of-the-art stadium which could be up/running in just a few years. Of course closer to ‘home’ would be nice. But has anyone suggested a viable alternate ‘local’ site. Er…no. So what’s it to be chaps. Press on with WHL 2 and bankrupt the club; or move and soon enjoy regular crowds of 50,000+ which will enable a better team and more success. And don’t we all want that ? We have no figures or answers to tell us why the site is not viable just a statement “its not.” 18 months ago we were told it was. Something changed. I’m interested to know what it was.